Who doesnt need more soft baits? I don’t know any anglers that will turn away a green pumpkin craw that can be pitched into cover. This is a staple of bass fishing and a solid addition to any box year round! Retail for this package is $3.33. This time of year, these craws are excellent pitched around retreating weedlines, points, creek openings and dropoffs. You just need to find what stage the bass are in and what pattern they are on. Topwater fishing can be productive in the fall. Sometimes bass can be found cruising shallow on sunny days and this is where the soft bodied frog can be deadly. 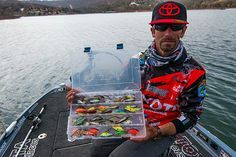 I find that you have to make sure this pattern is productive before you commit hours to throwing a topwater in the fall. But if the bass are on it, watch out! The Spittin’ Wa is a solid frog that was released sometime in the summer of 2013. It has a defined keel and unique cupped mouth that makes it versatile. It can be popped, walked or chugged at different speeds. There are also bubble jets on the sides of the cup that leave a trail of bubbles as well. Retail on this lure is $9.44. This lure also comes in a larger 70 size with a beefier 4/0 hook. The 55 comes with a 2/0 hook and is perfect for northern latitudes, or when you need a smaller profile in the water. The Stand’N Yabbie is a bait type that I have never thrown, so getting it this month will give me a chance to try a new bait. 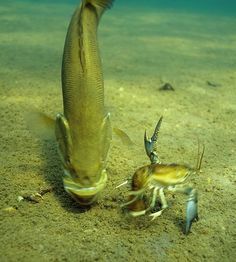 Most notable about this bait is that the claws are filled with air and its tail design makes it stand upright when on the bottom. R2S claims this gives it more realistic action and triggers strikes. Retail on this pack of 4 is $5.24. 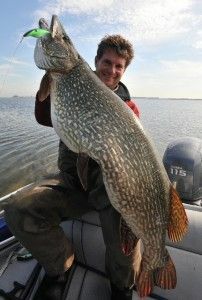 I would likely fish this over rockpiles or gravel dragging it alone looking for smallmouth, almost like a tube. 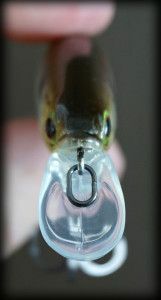 This is a new crankbait from Kanan Lures. I have never fished with any of their products, so this is an opportunity for me to try something from a new manufacturer. 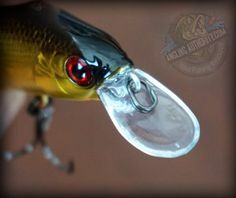 This lure is described as a diamond bill crankbait with a triangular body. This lure has a textured body and came in a shad pattern, definitely useful! The Alosa Minion dives 3 to 7-ft. But since I use 17-lb. flourocarbon for my crankbaits, I would probable expect it to dive deeper, say 7 to 10-ft on a long cast. The crankbait can be deadly this time of year. 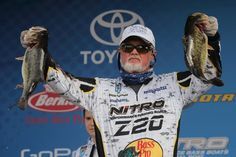 Bass will target baitfish as they try to gorge themselves for the fall. Locating balls of baitfish and throwing this crankbait nearby can easly produce results. The Alosa Minion retails for $6.95. There you have it, folks. Fall is here and September’s box holds several useful baits. No matter what part of the continent you are in, every one of these baits will be useful for catching fish.